When Automattic founder Matt Mullenweg took venture money from True Ventures in 2005 and others he was just 21 years old. Now the firm has invested in someone even younger – 19 year old Brian Wong. 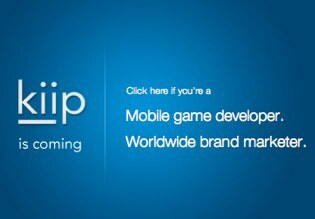 Wong founded Kiip.me (pronounced Wii-style as “keep me”), a mobile advertising platform that is bridging the mobile and gaming worlds. I don’t know much more about it, but whatever he’s doing it was enough to catch the attention of True Ventures partner Phil Black. He’s invested $200,000 in Kiip.me, he tells me, as part of a round that is still filling out. As young as he is, Wong has experience with startups. He briefly worked at Digg and helped launch their Android application. And he founded Followformation, an automated categorized Twitter discovery tool. He’s Canadian, skipped four grades and finished college when he was 18. He may be the youngest entrepreneur to raise venture capital – Mark Zuckerberg was just 20 when he raised early money for Facebook. Mullenweg as I said above was 21. We’ve got our crack team of research interns looking into exactly who holds the record as the youngest entrepreneur to have raised a proper venture round. Kiip.me is still a few months away from launching. Stay tuned.